Plans have been developed to build wind turbines close to the battlefield of Agincourt which will affect the views from and of this most iconic of conflict sites. The wind turbines will be built in Teneur, Maisoncelle, Bealancourt, Auchy and Wamin and some will lie just to the west of an area of land believed by the French to be part of the battlefield, as highlighted by Dr Tim Sutherland in his chapter on the battlefield in the Anne Curry and Malcolm Mercer edited book, The Battle of Agincourt (Yale University Press, 2015). The above photograph shows the battlefield from the French side and the wind turbines would appear on the horizon. 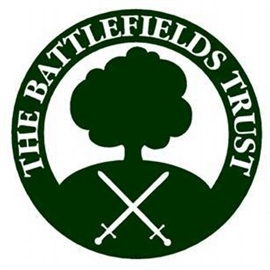 Vent de Champ de Bataille has also sought the Battlefields Trust support to counter this development and the Trust has written about these plans to the French ambassador in London and the President and Prefect of the Region Hauts de France in which the battlefield is located.